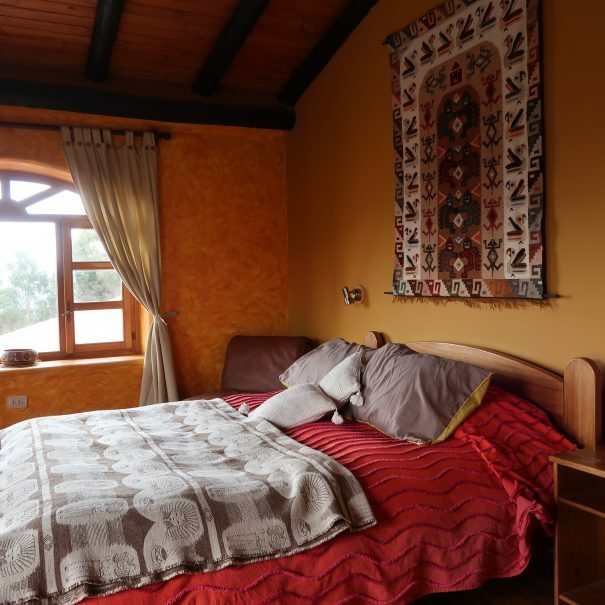 Arriving early morning to Huaraz by bus or plane you will be met by a safe taxi and privately transferred back to the lodge. Upon arrival, you will have an opportunity to check-in, eat a hearty breakfast, and rest after your early morning/long night. 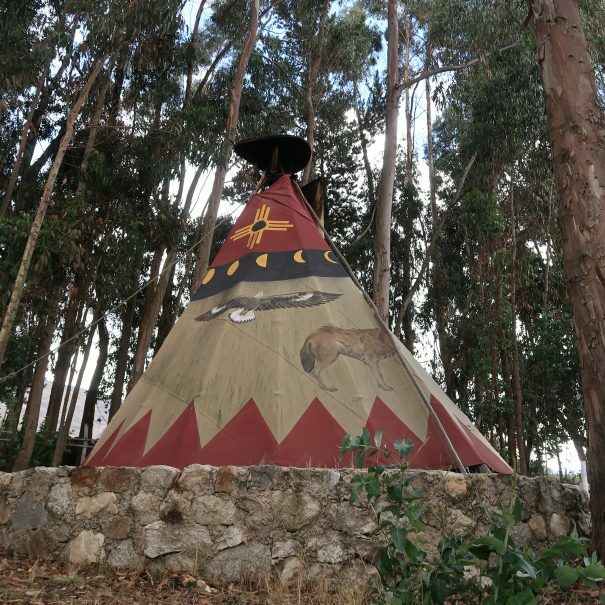 When ready you can either do a tour of our affiliated community center which supports the local indigenous population and/or do a 2-hour self-guided/ map assisted hike around the local area to help acclimatize and acquaint yourself with the local area. At the end of the day take advantage of the wood-fired sauna to help you rest and relax before a four course, family style, dinner. All Meals Included. 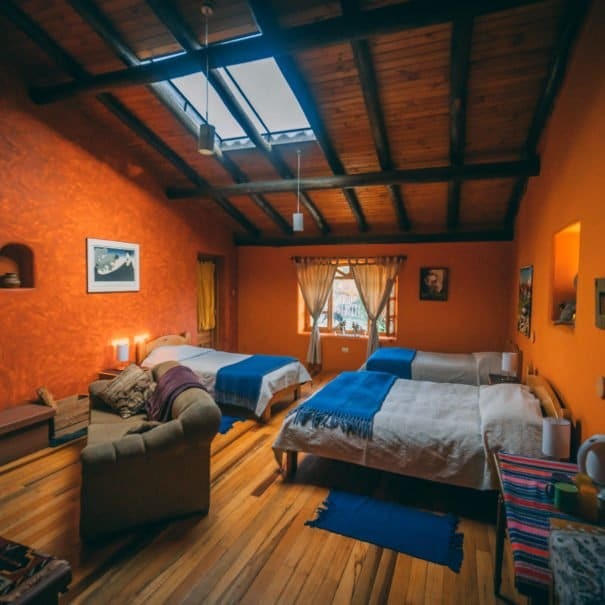 Today you will adventure up to 14,000 feet/4500 meters in elevation by private transport, through the steep and scenic Llaca Valley, located in Huascaran National Park. 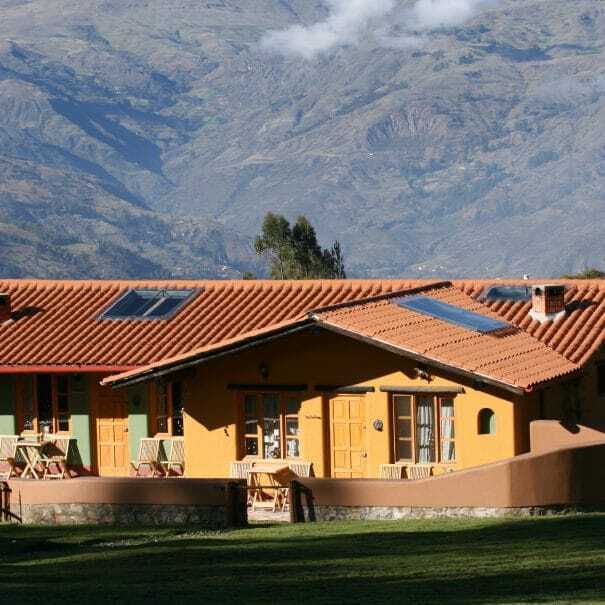 At the top you will have an opportunity to explore the picturesque valley where Condors and the unique Andean animal Viscachas play. Where the road dead ends, a ten-minute hike will take you to a high mountain lake formed by the Llaca Glacier which sits above it. If you can still breath, you can follow the shoreline and get closer to the glacier. 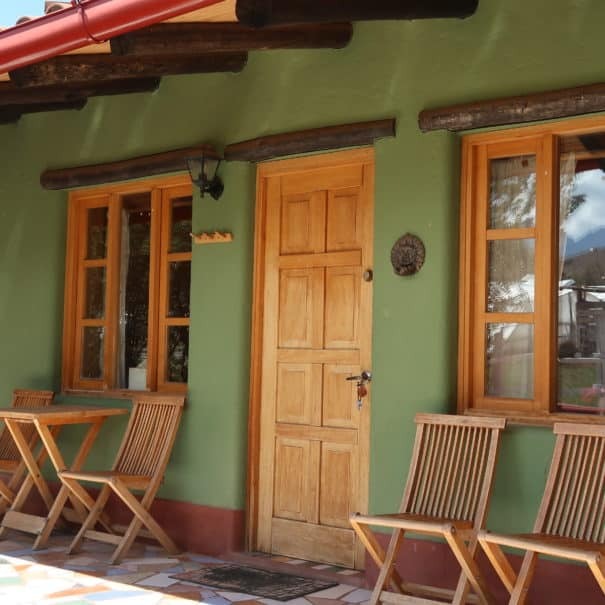 Afterwards take a minute to eat some lunch and then head back down to Lazy Dog to relax or take advantage of the best sauna in the Cordillera Blanca. As many or as little opportunity to hike, with private taxi support.– 4 – 5 hours. All Meals Included. After a hearty breakfast you will be met by your biking guide, an experienced local whom speaks great English. Riding a dirt road, through scenic farmland, surrounded by the Cordilleras Negra and Blanca, you will come upon the Wilkawain ruins, two sets of Pre-Incan burial tombs built by the Wari civilization. After about an hour of a self-guided tour of the ruins, you will continue on your downhill adventure, where you will be met by your van and transferred back up to The Lazy Dog Inn. 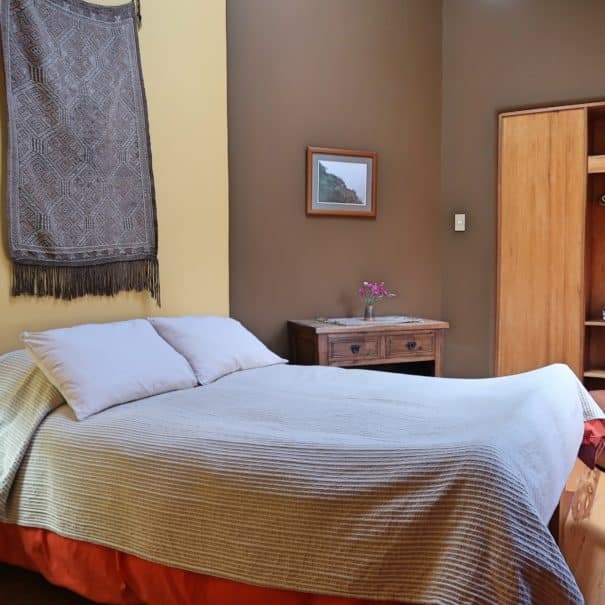 Upon your arrival you will have either a 3-course hot lunch at the Inn or you can have lunch at the Community Café, that employs and empowers local indigenous women (note café is only open from June thru mid October). All Meals Included. Enjoying a leisurely breakfast and a last stroll around the property, at your preferred hour a safe-tax will come to transfer you to either the airport or bus station. Breakfast included with lunch and dinner available at an additional cost. Transfer from airport or bus station to the lodge with a safe-taxi. Lunch at theCommunity Center or with a local family. 4-course family style dinner featuring fresh, organic produce from our on-site gardens. Map to navigate the short acclimatization hike, a hiking guide is available upon request for an additional cost. Preferred room at the lodge. Personal horse riding instruction by a native English speaker. Private horseback ride, no other guests in the lodge will accompany trip. Family style lunch in a local home. Clients can choose between chicken, guinea pig, rabbit, or a vegetarian menu. Breakfast, 4-course family style dinner. Full-day of private taxi use, transfer, and assist. Map of the local area and hike, an English speaking guide can be provided at an additional cost. Private English-speaking bike guide, with knowledge of the local area and its history. Van support and return assist. All Meals including, post ride lunch at either community center or Inn. Breakfast included, additional meals provided by request at an extra cost. Prices Based on double occupancy, whom are guests at The Lazy Dog Inn. For groups of 4 or more, please inquire for group rates.